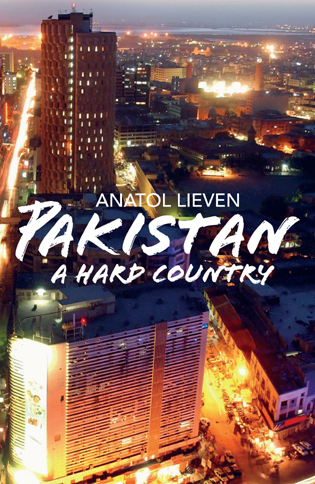 Interview with Anatol Lieven, the author of the recently released "Pakistan: A Hard Country". He is Professor of International Relations and Terrorism Studies at King’s College, London and a senior fellow of the New America Foundation in Washington DC. You describe one of the main reasons for writing “Pakistan: A Hard Country” as filling a knowledge gap. Is there a great deal of misunderstanding about Pakistan? Yes, a good deal I think. The nature of the political system, of “feudalism”, of military rule are all poorly understood. So are the many different forms of Islam in Pakistan and the tensions between them. There is also a great deal of bewilderment as to why Pakistan backs certain Islamist groups while fighting hard against others. It has become a commonplace to suggest that Pakistan is a “failed state” or about to become one. Is it fair to say that you refute that? Yes, if you compare Pakistan to genuinely failed or failing states like the Congo, Somalia, Chechnya in the 1990s or much of Afghanistan today, it is clear that Pakistan is not a failed state and is some distance away from becoming one. The book argues that the army is capable of defeating and rolling back insurgency (though not terrorism) and that the political system is more resilient than it looks. The power of the Pakistani elites is also a major barrier to Islamist revolution. Unfortunately, none of this means that Pakistan is capable of progressing or developing very much. You consistently refer back to “kinship” as both a paralyzing and stabilizing influence in Pakistan. Is kinship so very important? It is absolutely critical as the fundamental building bloc of society, of the political system and in many ways of Pakistan’s ethnical system too. Incidentally, this is also true of much of the Pakistani diaspora in Britain. The power of kinship is shown by Pakistan’s main political parties and most smaller factions as well. They are not just headed by dynasties (the Bhutto-Zardaris, the Sharifs, the Wali Khans) but are made up of alliances of local leaders who also depend very heavily on kinship groups for support. Incidentally, this is also true of much of the rest of South Asia. You mention a dramatic statistic in your book, that only 1% of Pakistanis pay income tax, this must make for a very weak state, does it not? Yes indeed. Pakistan has the lowest rates of revenue collection in South Asia, at less than 10 per cent of GDP. India collects more than 17 per cent. This means that the state simply does not have the resources to invest in areas that are critical for economic growth and social progress, like energy, infrastructure and education. That is why I say that although Pakistan will probably survive as a country, unless it can implement far-reaching reforms (which it has not been able to do up to now) it will not progress. You talk about a great many subjects many of which Pakistanis never tend to agree on but it seems that the one thing that all Pakistanis do agree on is their anti-American stance. This is true, though it is important to remember that in the great majority of cases being hostile to the US, or to US policies, or the US presence in Afghanistan, does not mean supporting terrorism. I’m half Irish. If in the past every Irishman who had anti-British attitudes or wanted the British out of Northern Ireland had supported the IRA then Britain and Ireland would have been drowned in blood. We need to distinguish between rhetorical anti-Americanism and real radicalism, just as in the past the British police learned to distinguish between “Saturday night Republicans” and the hard men of the IRA. You mention that one false move by the US could lead to the collapse of the country, is the US aware of the delicateness of the situation? Well, not just any false move. I warn against turning raids of the kind that killed Bin Laden into a regular part of US strategy. For if that happens, sooner or later one of two things is likely to happen. Either a US raid will run into a Pakistani military unit and there will be a battle, with absolutely unpredictable but probably horrendous consequences for US-Pakistani relations; or the Pakistani generals will order their men not to fight, in which case their men may well mutiny. And if a sizeable part of the Pakistani army mutinies, then the country could indeed collapse very quickly. You dedicate a chapter of your book to the Punjab. Does this region have the massive influence in Pakistan that one is led to believe? Well, I devote a chapter each to all of Pakistan’s four provinces, not just Punjab. But with almost 60 per cent of the population and almost 75 per cent of the industry, Punjab is obviously by far the most important and powerful province. However, Punjab is also divided into very different regions. When for example people say that Punjabis dominate the Army, they really only mean Punjabis from half a dozen districts in northwestern Punjab, not the other 80 per cent of Punjabis. When it comes to pushing through its interests at the expense of the other provinces, Punjab sometimes gets its way but sometimes has to compromise for the sake of holding the country together. The last decision of the national finance commission redistributed the provinces’ shares of national revenue away from Punjab and towards the poorer provinces. The Kalabagh dam, which would provide electricity for northern Punjab, was planned almost 60 years ago but has never been built due to the opposition of the Sindhis and Pashtuns. You describe the territories that border with Afghanistan in great detail and it seems to be important to distinguish between Afghan Taleban, the Pakistan Taleban, the Pakistan military and your ordinary tribal Pathans with centuries old customs and separate history. The situation seems very complex. It is horribly complex – which means that for an explanation, readers will have to buy the book! You clear up a few misconceptions about Shariah Law which in fact in some cases for many Pakistanis is preferable to federal law merely due to its swiftness and effectiveness. Yes, and not just that – a true form of Shariah law (rather than a mixture of Shariah and tribal tradition which is what the Taleban are offering) would in many ways be progressive compared to the customary law which most Pakistanis live by most of the time, and which can be savagely oppressive, especially towards women. That is why British rule gave preference to the Shariah over tribal law. As for the Pakistani official judicial system, I am afraid that as far as ordinary people are concerned it is all too often a nightmare of corruption and injustice. You suggest that Islamic radicalism is not an endemic Pakistani problem despite some generalized sympathy for the Afghan Taleban and a strong anti-Americanism. Yes, most people sympathise with the Afghan Taleban because they see it as a legitimate resistance force against American occupation of their country, much as they saw the Afghan Mujahedin who fought the Soviets in Afghanistan in the 1980s. That does not mean that the great majority of Pakistanis would want to see the Taleban ruling Pakistan. In fact the Pakistani Taleban have greatly discredited themselves in the eyes of most Pakistanis by their terrorism and atrocities, and are widely seen (wrongly) as working for India to destroy Pakistan. Another reason for their limited support is that the Saudi-derived Wahabi tradition, which is very influential among the radicals, is only shared by a minority of Pakistanis, most of whom belong to different Muslim traditions. You dedicate a lot of time to the army. From the way you describe them they are almost a “world apart” in Pakistan. Yes, they devote an enormous amount of time, money and propaganda to making sure that they are, by trying to isolate serving soldiers from social influences, and paying them and giving them perks and social services vastly in excess of what people elsewhere in the state system get, let alone in the population at large. This could be seen as a form of legal corruption, like US and British generals stepping out of their official jobs into lucrative positions in military industries. It certainly diverts a hugely disproportionate share of the state budget to the military. On the other hand, this combination of good pay, strong discipline and Pakistani nationalism does provide a strong barrier to Islamist revolutionary feeling in the Army – which is a good thing, since as I said, a military mutiny is the one thing that could destroy the country very quickly. You suggest that even Pakistanis are discussing (the possibility at least) of their country descending into civil war or into “Balkanization”, how real is this prospect? Oh yes, they talk about this all the time, especially in Sindh because of its ethnic divisions. And they are right to do so, because if an Islamist revolution did take place in Pakistan, the result would not be a united Islamist state like Iran or (to a lesser degree) Afghanistan under the Taleban. The result would be the disintegration of the country, and a whole range of civil wars between provinces, different ethnic groups, religious sects, and finally tribes and clans. In fact, a combination of the Balkans and Somalia. Fortunately, the army and the political system are still strong enough to prevent this happening – at least for a while. Politics in Pakistan is a constant repetition of an impossible situation. Whoever is in power has to develop a power base that depends on feudal social structures. Is the situation a hopeless case? “Hope dies last” as the Russians say. I think that it is possible that over time, if Pakistan survives, urbanization will transform the Pakistani political system and make it more accountable to the mass of the population and more devoted to economic growth and social justice. However, if this does happen, the reformist movement will almost certainly have an Islamist face. Hopefully this will be more like the Justice Party in Turkey, with its moderate profile, than some of the much harsher and more frightening variants seen elsewhere. Given recent events can I ask you to comment on the Osama Bin Laden killing in Abbotabad? What are the implications for Pakistan? We will probably never know for sure the true story of how Bin Laden came to be in Abbottabad. It is certainly very plausible that he was being sheltered there by at least a group within Pakistani intelligence, if not by the high command. Alas, there is no chance at all that the military will allow this question to be investigated. Nonetheless, the prestige of the military and the ISI has taken a real blow in the eyes of Pakistanis, and that is all to the good. Relations between Pakistan and the US have also taken a blow, though as the immediate furore has died down, cooler heads have begun to point out that the US is still doomed to co-operate with Pakistan. One reason is that the ISI has often given valuable help against terrorism (a leading Indonesian terrorist linked to Al Qaeda and the Bali bombings, Umar Patek, was arrested in Abbottabad in January and handed over to the Indonesian authorities). Another is that the US and NATO forces in Afghanistan are dependent on routes via Pakistan for 80 per cent of their supplies. Alternative routes via Central Asia could be developed, but this would mean being very nice to very nasty regimes like that of Uzbekistan, and also making concessions to Moscow in order to win Russian goodwill. So barring a complete disaster, co-operation will continue. 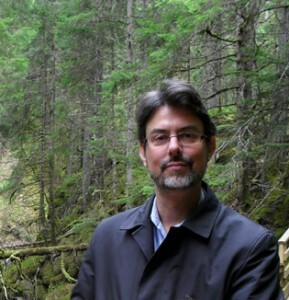 Anatol Lieven is Professor of International Relations and Terrorism Studies at King’s College, London and a senior fellow of the New America Foundation in Washington DC. He was previously a journalist, who reported from South Asia, the former Soviet Union and eastern Europe for The Times and other publications. His books include Chechnya: Tombstone of Russian Power; America Right or Wrong: An Anatomy of American Nationalism; and Ethical Realism: A Vision for America’s Role in the World (with John Hulsman).